Lamar Auto Salvage is a family owned and operated Green Recycled Parts business. Since 1980, we have been providing customers with any auto parts that they may need. We specialize in New and Used Chrysler Parts, and all Parts Include a Standard 30 day Warranty. Additionally, we have a nationwide locater service for parts that we may not have in inventory. We’re sure to be able to find the part you need and get you back on the road as quickly as possible. Ask about our clean and affordable rebuilt automobiles for sale. They have all been inspected and given clear titles. Our mission is to provide the customers with Green Recycled Parts that benefit their auto, their wallet, and the environment. Come on in today and start saving money with us! Lamar Auto Salvage, Inc. is a Green Recycled Parts facility. We’re conveniently located half way between Hattiesburg and Columbia. We are a family owned and operated business in operation since 1978. We incorporated in 1987. If you have been searching for parts for an older or a classic vehicle, we are your go-to source. Our free locator service enables us to locate even hard to find parts for your vehicle. Even though we specialize in Chrysler/Dodge products, there is a wide variety of vehicles in our inventory. We have 27 employees, some of whom have been with us for 25 years! 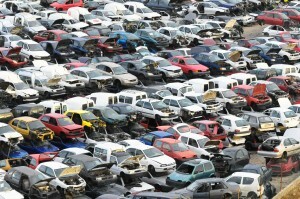 Auto salvage businesses help the environment by recycling and reusing much of the automobile. Energy is saved because fewer newer parts are needed, resulting in less manufacturing and transportation usage. The effect is a decrease in the use of raw materials and landfills. Lamar Auto Salvage Inc. is among the businesses that reduce the need for new steel. 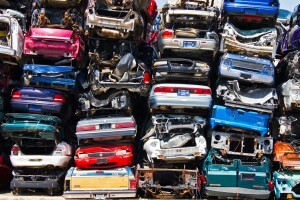 Selling the scrap metal from wrecked or inoperable cars brings about recycled metal suitable for many items, including new auto bodies. 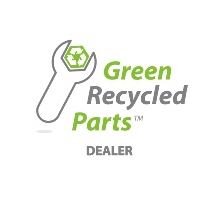 We strive to provide customers with Green Recycled Parts. We support the concept of automotive reusing and recycling because it helps customers by saving them money, makes it more economical to repair a vehicle, and benefits the environment. Automotive Recycling serves our county, state and country by eliminating the need to clean up the environment of unsightly abandoned vehicles. 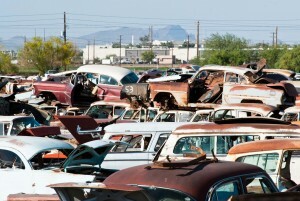 Recycling also saves the automotive industry money by providing the metals needed to make new vehicles. We provide our customers with quality used parts that are pulled from the same type vehicle that they own. This guarantees the customer a good fit for their vehicle. We strive to make each customer satisfied while saving them money on repair parts for the vehicles they own. Our specialty is new and used Chrysler and Dodge parts, although other vehicles are onsite. Whether you have newer or older vehicles, Lamar Auto Salvage lets you find exactly what you need. Our inventory contains over 1,000 vehicles ranging in make and model. Fill out the online form for information regarding the part or parts needed for your pickup truck or car today. 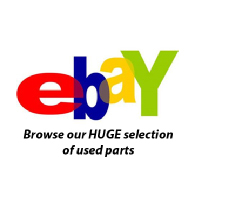 A quick computer search of our inventory provides the answer and details about reused vehicle parts. This is not your grandfather’s junkyard! The days of walking through several acres of wrecked cars to find what is needed to repair or restore your car are over. The following is a list of just some of the reused items purchased from our salvage yard on a weekly basis.